The Best Phillies Blogs from thousands of Phillies blogs on the web using search and social metrics. Subscribe to these websites because they are actively working to educate, inspire, and empower their readers with frequent updates and high-quality information. Phillies newsletter is a comprehensive summary of the day's most important blog posts and news articles from the best Phillies websites on the web, and delivered to your email inbox each morning. To subscribe, simply provide us with your email address. Facebook fans 300,245. Twitter followers 39,562. About Blog A Philadelphia Phillies Fan Site - News, Blogs, Opinion and More The ultimate home for Philadelphia Phillies news, rumors, updates, trades, signings, injuries, commentary, analysis, and more! Facebook fans 1,252. Twitter followers 2,227. About Blog Your best source for quality Philadelphia Phillies news, rumors, analysis, stats and scores from the fan perspective. Facebook fans 6,243. Twitter followers 11,081. Facebook fans n/a. Twitter followers 6,160. Horsham, PA About Blog The Philadelphia Baseball Review publishes original stories, breaking news, and analysis related to the Philadelphia Phillies. The Review also covers baseball throughout the Philadelphia region. Facebook fans 113. Twitter followers 1,160. About Blog Welcome to my blog about the Phillies, my baseball card collection and my family, in no particular order. Facebook fans 144. Twitter followers 143. About Blog Larry Shenk offers insight into the past, present-day and future of his beloved Phillies. Facebook fans 59. Twitter followers 1,455. Philadelphia, PA About Blog Created on August 9, 2007 by Bill Baer, “Crashburn Alley” is a Philadelphia Phillies blog. The name is a play off of Ashburn Alley at Citizens Bank Park, named after “Whitey,” one of the most beloved Philadelphia athletes ever. The Wall of Fame at Ashburn Alley details the long history of the Phillies franchise from the many low points through the more recent high points. Philadelphia About Blog Blogging the best Phillies news, from interesting sites around the web. Philadelphia, PA About Blog Phils Baseball is a blog for YOUR Philadelphia Phillies with articles, stats, schedules, payroll for Phillies fans. Facebook fans 548. Twitter followers 187. Philadelphia, PA About Blog All things Philly Sports. All things sports and entertainment. Full Scale is here to bring you mainly Philadelphia region sports stories weekly. Facebook fans 4,940. Twitter followers 131. South Jersey, USA About Blog A blog on the Philadelphia Phillies with opinions and commentary from Rich Baxter and guests. This is also the home for the Phillies Talk Podcast. Facebook fans 81. Twitter followers 806. 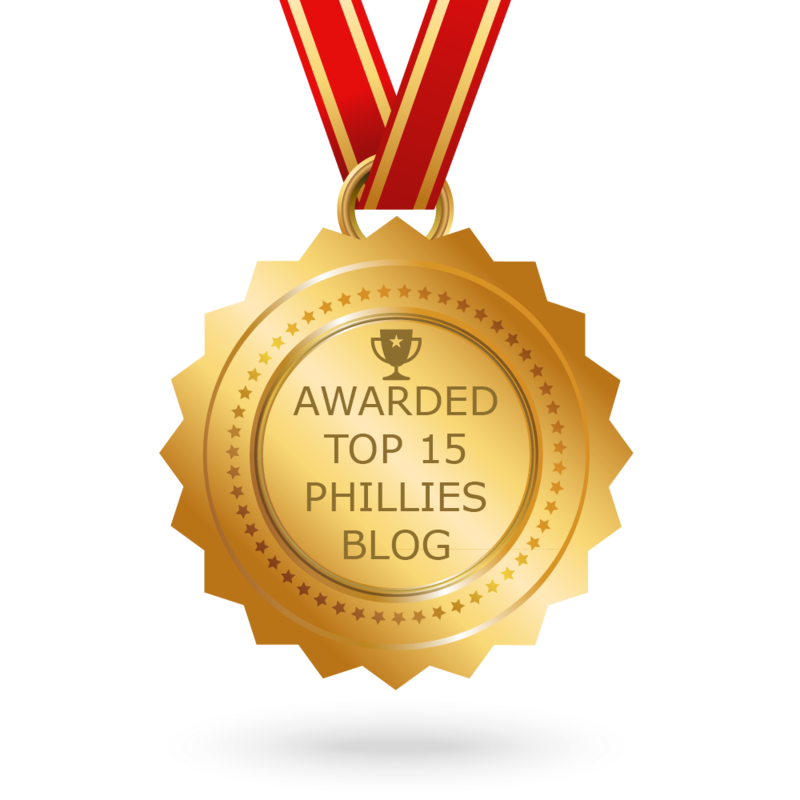 CONGRATULATIONS to every blogger that has made this Top Phillies Blogs list! This is the most comprehensive list of best Phillies blogs on the internet and I’m honoured to have you as part of this! I personally give you a high-five and want to thank you for your contribution to this world.